Five years from retirement is a time to assess you readiness for leaving work. There may be a need to adjust the time for retirement or to realize that some continued form of work would be beneficial such as a part-time job or business. 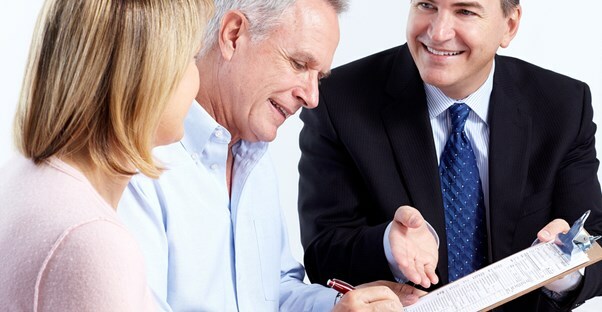 This is an excellent time to consult with a professional retirement planner, to confirm ideas, and explore possibilities for improvement of your retirement plan. With five years remaining, there is still enough time for corrections and additions to a retirement plan. Four essential things you should do five years before retirement are as follow below. Phase-in your retirement lifestyle. If the resources and healthcare factors line up well and, with professional advice, you can set a firm date of retirement. It is time to begin to shift from an active career to the retirement phase of life. For many people, it is critical to avoid a sense of emptiness when leaving work. For some people, their work or career fills social as well as economic needs. Retirement can be a time for leisure, which means to do the things you enjoy, rather than to do nothing. Examples are abundant of people who throw themselves into higher levels of activity in pursuit of leisure activities. Sports like golfing, activities like flying a plane, or long-held dreams like hiking the Appalachian Trail can raise your level of effort, as well as enjoyment. You can make the transition in phases. While still working, you can begin to identify and expand leisure activities and interests. This is a time to explore the possibilities in order to arrive at a great combination of interests and abilities. Assess housing and location. As the retirement date approaches, you can factor in the size of an existing home and its location for retirement purposes. If you prefer warm weather, it can be a positive step to begin planning to change locations. If a homeowner, you can sell an existing home and move to a warmer, year-round climate. Some advantageous financial considerations arise when comparing the expense of a new and smaller home to a family sized residence. Potential savings include utilities, property taxes, and local travel costs. Obtain long-term care insurance. This is a vital consideration five years before retirement. Long-term coverage protects other assets such as savings, an IRA, and a 401k. Long-term health care expenses can reduce savings quickly. Some public medical care programs require a means test, which might require giving up certain assets such as a life insurance policy. While the state law trend is to permit the sale of life insurance and use of the proceeds for long-term care, not all states have moved to that position on Medicaid eligibility. You must have health insurance. The Affordable Care Act and related state policies, such as Medicaid expansion, have revolutionized health care to include millions of Americans who had previously been without healthcare insurance. Americans do not have to depend on employers for access to affordable healthcare; you can enter into effective coverage through the federal system or state exchanges. The five-year point is a pivotal milestone on the journey to a successful retirement. Planning can be more concrete than before as you put the long-term plan into actual operation. While there is still time to change and improve the overall situation, there is no better time to consider the main components carefully.